It is no longer secret that the Yahoozee king himself Olu Maintain has finally moved into his mansion in Anthony village in Lagos. Olu who has been living in his friend's hotel (Mark's Place Ikeja) for about 18months completed a beautiful building in Anthony village more than a year ago but never lived there. He preferred the comfort and security of a hotel whenever he is in town. Although, he chose not to disclose how much living in the hotel cost him, gist has it that the least room where he spends his time whenever he is in Nigeria goes for N11,500 while the suite goes for N20,000. We heard the Kentro crew also benefited from Olu's 'big boy' status. As a wise thinking guy, Olu we gathered has taken the decision to move into one of his houses (as he has other choice properties in other part of the town), 'l guess to cut cost'. It is true that, 'when God closes a door, somehow, He opens a window'. 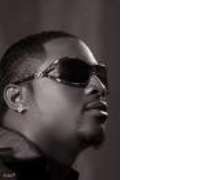 That really is the story of Olu Maintain whose musical career took a U-turn when he went solo with the track 'Yahoozee' coming as the lead track in his album Maintain Reloaded which he released in 2007.